We have increased the team! WYM Obtain a Passenger Ship D.O.C. This year six members of the team visited the show. Allan, Adam, Shona, Diana and Andrea all from the UK office were joined by Gus who flew in from our USA office. The show was amazing, four of our yachts were there and it was great to meet the Captains and crew. We met a lot of people that we currently do business with and even more that we hope to be working with in the future. Our Managing Director Allan Wilson will be attending the Monaco Yacht Show 2018 along with members of his team from the UK and USA offices. Do not hesitate to sign and share it! It is an undeniable success on which we rely in our negociations with the French public authorities. Last tuesday, we met representatives of the French administration in Paris. We explained to them what yachting is and how yachts operate. - Yachts must be encouraged to winter in French Ports. In this spirit, proposals and progress have been made which for the moment remains in draft form. We will come back to you as part of this dossier. Social regulations which deprive French sailors of work and destroy jobs in the marine economy still in force a year later! After a year and a half, the question of the work of French resident seamen remains unchanged. We think that we need to change our strategy. To do this we have created an online petition on the change.org website. This will allow us to support our negotiations with the French government. You understand that the number of signatures is vital. A great mobilization will allow us to have results! Take a look at us on our ‘About Us’ page. In 2017 WYM took on additional staff to complement the existing team. Notably Adam Miller joined us as Technical Manager/DPA as well as two new members of the accounts team. Our Managing Director will be attending the Annual West Palm Beach Yacht Show. Matthew Belcher and Diana Rowden attended Lloyds’ ILO MLC 2006 course to help them develop a practical approach to the interpretation and application of the ILO MLC, 2006. We are excited to announce that 49m (612 GT) motor yacht Te Manu will be on display at the Yacht Miami Beach from 16th to 20th February 2017. The yacht will be berthed at Island Gardens and available for inspection by appointment. Our Managing Director Allan Wilson will be attending the 26th Annual Monaco Yacht Show. WYM have been appointed as managers of the MY THE WELLESLEY, 56 meter Oceanco (ex Anedigmi) providing a full range of services including Accounting, Crew management, ISM / ISPS/MLC management and Operational management. WYM now hold a Malta DOC as well as our existing Isle of Man and UK Cargo Ship DOC and Cayman islands Cargo and Passenger ship DOC. THE WELLESLEY has just completed a 9 month major refit in Antalya Turkey, where as well as a 6 meter stern extension, and full class and flag surveys, she completed a full re paint and partial interior refit THE WELLESLEY will be attending the Genoa Charter Show at the end of April with a busy charter season ahead of her. 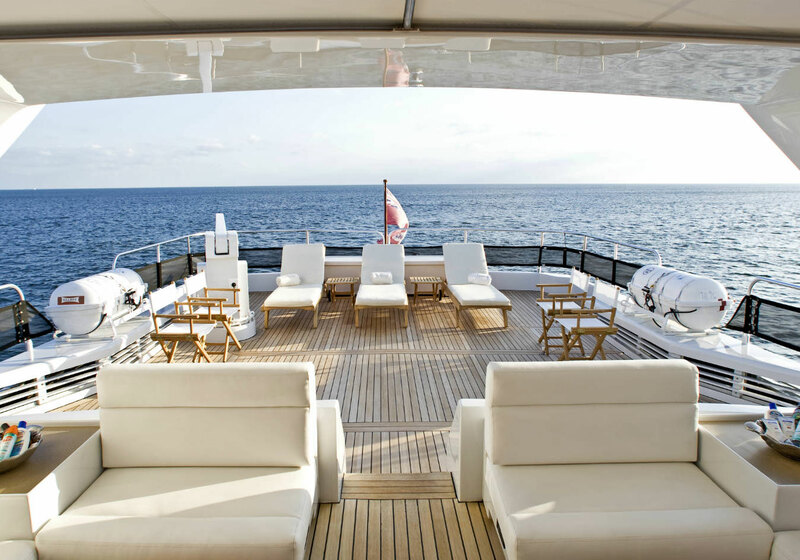 The yachts charter central agency is Worth Avenue Yachts Monaco. Our Managing Director Allan Wilson will be attending the 31st Annual Palm Beach International Boat Show will be held in the beautiful Downtown West Palm Beach from March 17 to 20 2016. If you would like to set up a meeting please contact Allan on +954 235 9377 or +44 7802 684 438. From 1st January 2017, you must have documentary evidence of either having completed your STCW courses or updated your training within the previous 5 years. The STCW permits some elements of the updating training to be carried out on board ship with the exception of Fire Fighting and Fire Prevention. This can be done by completing and signing a self-declaration form. Full details can be found in MSN 1865 para 4.5. All crew applying for work on, or joining a managed yacht, must hold valid STCW short course certificates. - Personal survival techniques (Ref A-VI/1-1). - Fire prevention and firefighting (Ref A-VI/1-2). - Elementary first aid (Ref A-VI/1-3). - Personal safety & Social responsibility (Ref A-VI/1-4). All crew applying for work on, or joining a company-managed yacht, must hold a valid certificate / qualification for the position they are applying for. Revalidation and ancillary courses required to maintain their certificate is for the crew members’ account. If any of your STCW certificates have an expiry date on them we been advised by the Flag State that they are not valid after the expiry date. There are two levels of HELM (Operational and Management) and they are not generic STCW programs. They are however a required addition to all flag state training programs. The content of a flag state’s HELM short course will depend upon the overall content of that flag’s current CoC. The short course will be designed to make up any short fall in content of the CoC and therefore may change from flag to flag. If you are revalidating a current MCA CoC you will not be required to undertake the additional HELM training. Candidates for new MCA CoC and those upgrading to the next level, will be required to undertake the full HELM training. January is a busy month, whilst some yachts are busy cruising in the Caribbean other are taking the time to catch up on routine and major maintenance. We currently have yachts in Pisa, Genoa, Toulon, Malta and Bremen in refit getting ready for the summer season. Why not trust WYM to organise and manage your next refit? Wilson Yacht Management have announced the launch of their new and improved website following the makeover of the Company Logo. “The original Compass Rose Logo was introduced when I founded the company in 2001 to oversee Project Management and introduction into service of M/Y Reverie (1,975 gt) which was at that time one of the world’s largest superyachts. Since then the company has grown considerably and we now provide Management Services for 19 yachts ranging from 200gt to 4,300gt and the support team has grown to 8 full time employees. After taking on the management of a new 100 meter passenger yacht coded motor yacht we now hold a Cayman Island Passenger Ship Document of Compliance. Our expert team from WYM office will be on hand around the Monaco show.